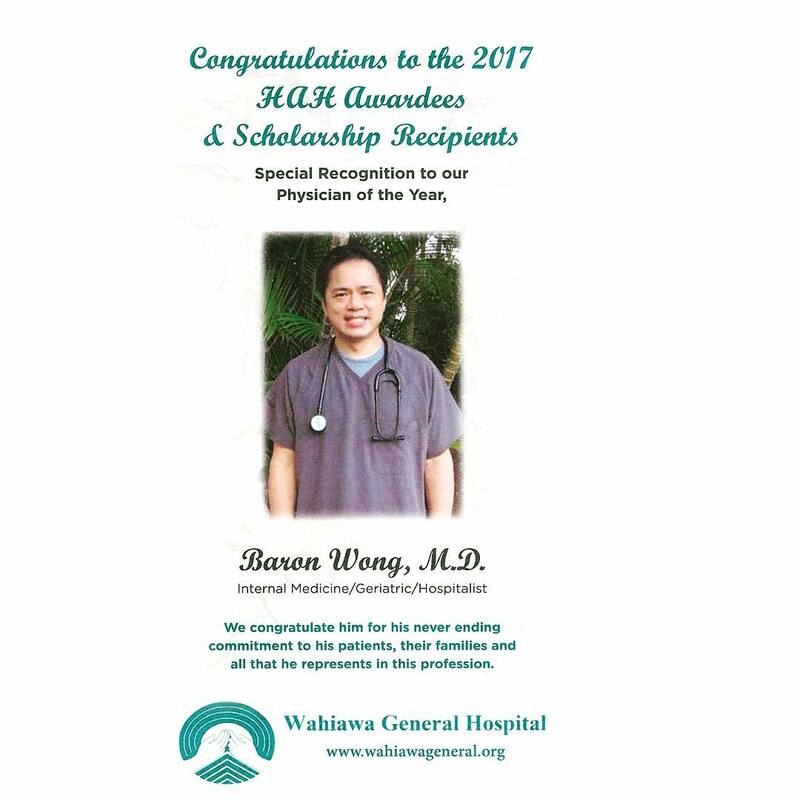 Congrats to our very own Dr. Baron Wong, who was named as the Healthcare Association of Hawaii’s 2017 Physician of the Year. We congratulate Dr. Wong for his never ending commitment to his patients, their families and all that he represents in this profession. WGH is so proud of you! !